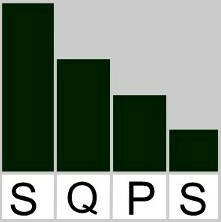 SQPS Ltd. has built a strong reputation for excellence by implementing cost-effective, practical solutions for lean and quality management needs. Our highly experienced, diverse team has a proven record of providing timely, responsive, high-quality, and innovative management solutions. The ISO certification is based on a number of quality management principles including a strong customer focus, management principles, internal and external processes, and overall continual improvement. By following the ISO standard, companies ensure that they are providing customers with accurate, quality products and services in a timely manner. The system creates a process of checks and balances to help companies eliminate waste in their production. More than 1 million companies in 170 countries around the world have implemented the ISO standards in their workplaces. From the manufacturing to service industry, SQPS has helped many companies get certified to ISO 9001 or other standards using our lean approach. We provide a free initial consultation to get you started.